In Mexico and other parts of the world, tasty drinks called aguas frescas often accompany meals. Spanish for “cool waters’ aguas frescas are refreshing non-alcoholic drinks made from fruits, grains, flowers, or seeds blended with sugar and water. 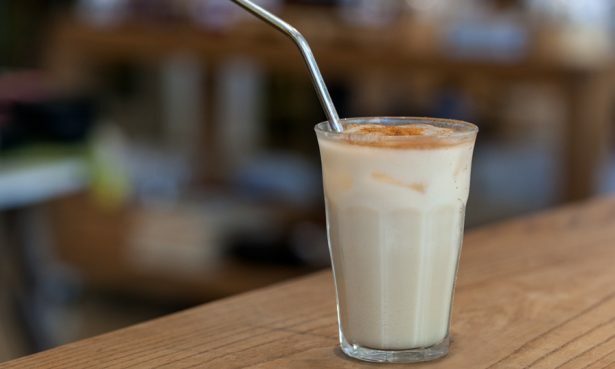 Horchatas, also called aguas de horchata are made with rice, milk, vanilla, and cinnamon. A great balance for spicy foods, enjoy this served over ice. Pulverize the rice in a blender or spice grinder until it has a flour-like texture. Set aside in a bowl. Add cinnamon, lime zest, and almonds to the pulverized rice. Add 2 cups of water and stir. Cover and let the mixture sit overnight. The next day, blend mixture in a blender until smooth. Add 2 cups of water and mix. Strain into a pitcher using a sieve. Stir in sugar and vanilla. Serve over ice and garnish with lime zest. This entry was posted in Eat Good Food and tagged cinnamon, coffee bar, drinks, lime, mexico, recipe, rice, vanilla.